The internationally-renowned composer Brian Ferneyhough is to receive a top university honour from Birmingham City University’s Royal Birmingham Conservatoire to recognise his immense contribution to contemporary classical music. Brian Ferneyhough will receive an Honorary Doctorate on Sunday 9 December as part of a special day of concerts and events, arranged by Birmingham Contemporary Music Group (BCMG) and the Royal Birmingham Conservatoire, to celebrate his 75th birthday. 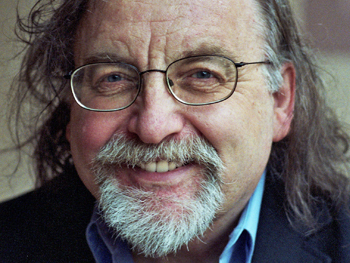 Born in Coventry in 1943, Brian Ferneyhough studied at the Birmingham School of Music (now Royal Birmingham Conservatoire) before moving to Europe and later to California. He is recognised as one of the most important, influential and creative of contemporary composers. His works are renowned for their dazzling intricacy with technical demands that push the boundaries of compositional thinking. Fellow composer Howard Skempton, who will host an In Conversation interview with Brian Ferneyhough as part of the day’s events, says, "Brian Ferneyhough's music has a rare lyrical intensity. It is true both to its time and to itself, and is thus also timeless." These qualities have made Ferneyhough an international figure, one of the most influential composers of the last 60 years. The award will be presented by Professor Alison Honour during an afternoon concert (2.15pm) which includes Ferneyhough’s string quartet 'Dum Transisset I-IV' formed by the Arditti Quartet and his Adagissimo performed by NEXT, a group of early-career musicians participating in a new one-year specialist contemporary classical music course launched by the Royal Birmingham Conservatoire and BCMG. The day includes performances by BCMG and long-term collaborators the Arditti Quartet who have premiered almost all of Ferneyhough’s string quartets. It concludes with ‘Ideal & Flying Height’ (4pm), in which Ferneyhough’s 'La Chute d’Icare and Funérailles I & II' will feature alongside works by other leading contemporary composers with Midlands links: Sutton Coldfield-born Jonathan Harvey’s 'Scena', 'Trauerkonzert' (Funeral Concerto) by Michael Wolters, the Conservatoire’s Deputy Head of Composition, and Conservatoire alumna Charlotte Bray’s 'Beneath the Dawn Horizon' in its first complete public performance. Brian Ferneyhough is at Royal Birmingham Conservatoire on Sunday 9 December.